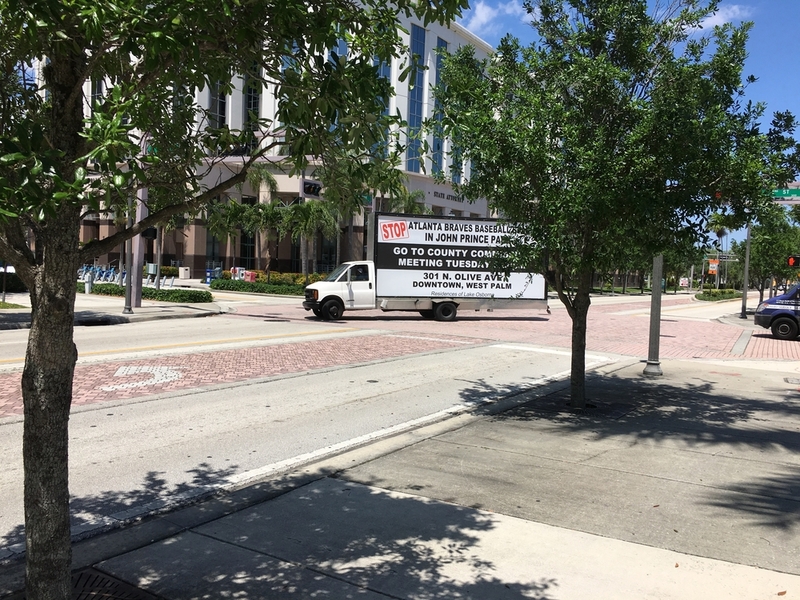 Mobile Billboard Miami running Mobile Billboard campaign in West Palm Beach Florida. 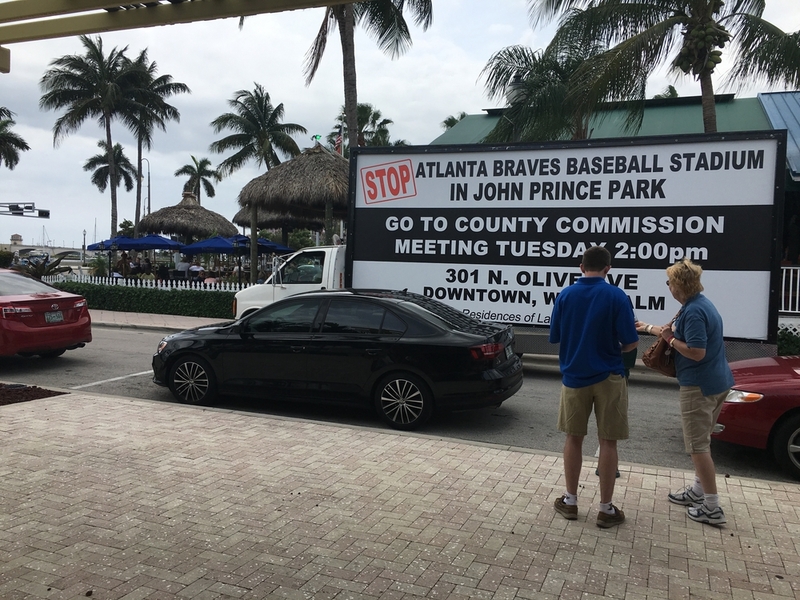 Protesting with a 12-ft.-plus-high billboard in John Prince Park has its challenges. 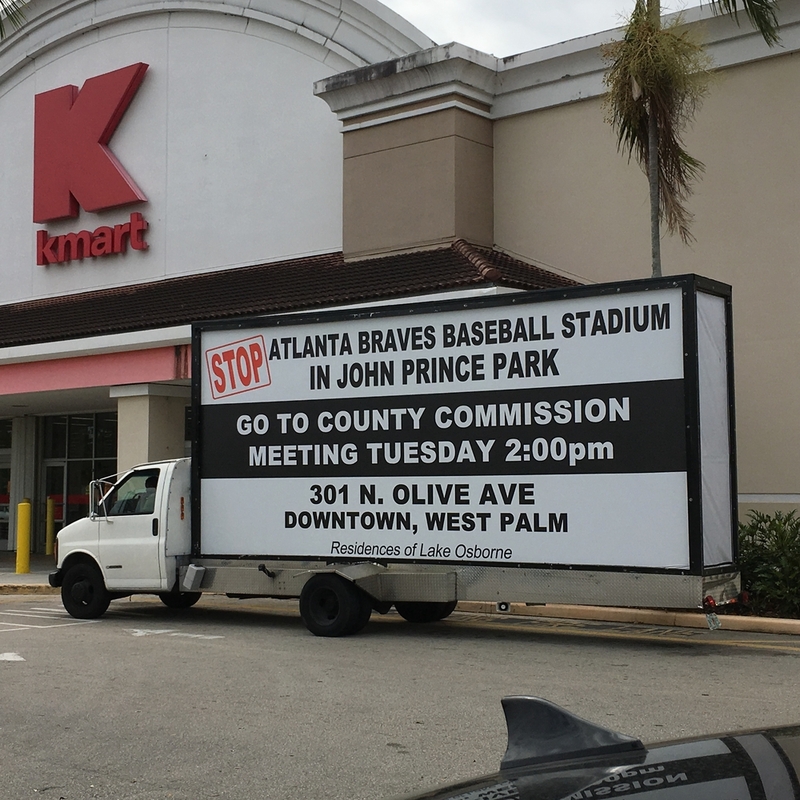 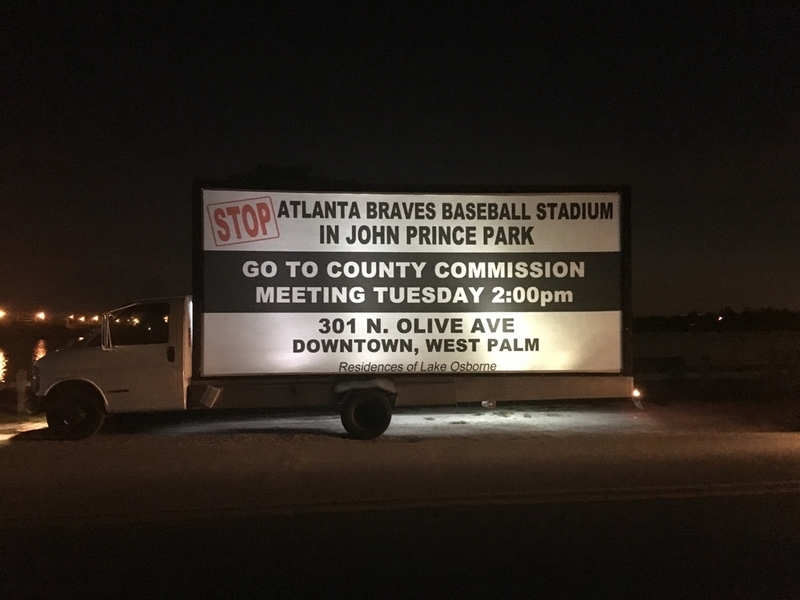 Opponents of an idea to build a spring training complex for the Atlanta Braves in the public park west of Lake Worth hired a company to pull the billboard with a truck. 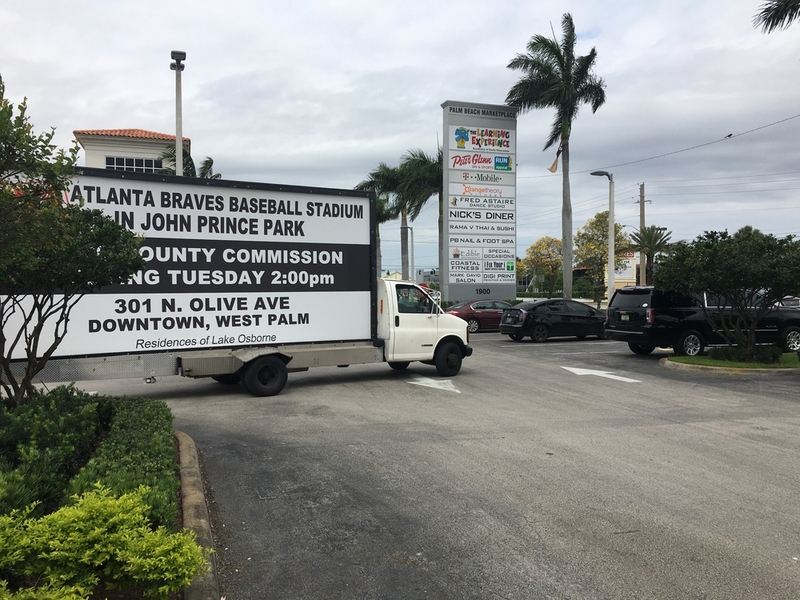 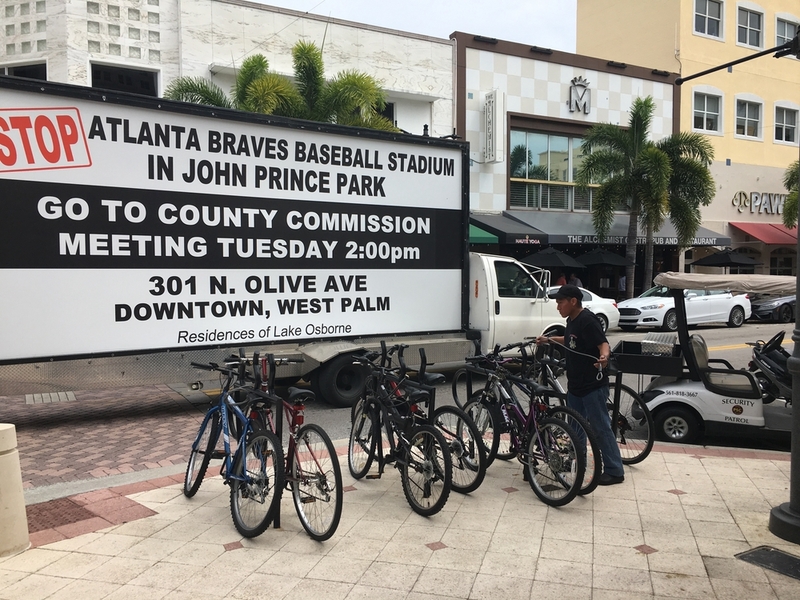 The billboard – it urges residents to attend a County Commission meeting on Tuesday to voice their concerns about the baseball proposal – was supposed to make its rounds around the park from 11 a.m. to 7 p.m. from Friday through Monday, starting Friday.